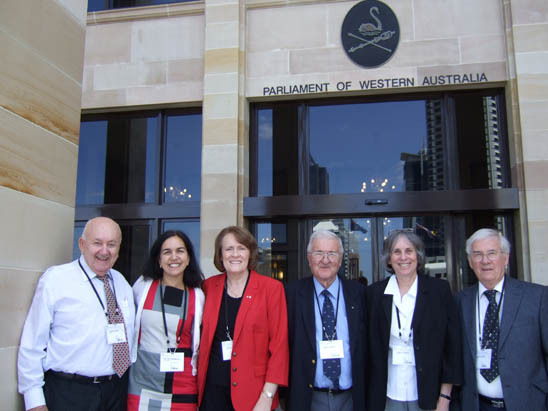 The Society, which was begun in 1978 by former asbestos miners from Wittenoom and their family members, has today become one of the world's leading support and advocacy groups for asbestos victims. 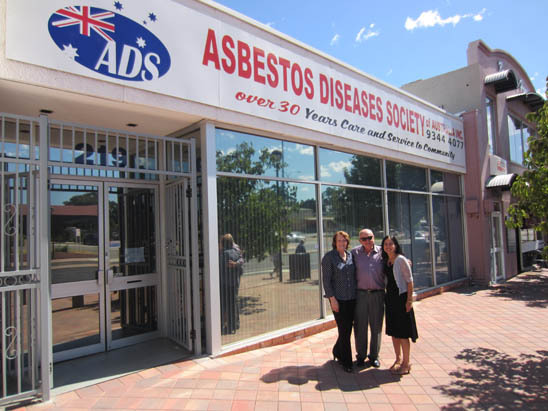 The Perth-based grass-roots charity has the experience, capacity and commitment to tackle the multiplicity of issues faced by people suffering from asbestos-related diseases not only in WA but in other Australian states and countries around the world. Figures quoted at this year's Annual General Meeting showed that in 2011, the ADSA received 21,250 enquiries on medico-legal matters and 1,745 on environmental issues; in the latter case, the ADSA Environmental Officer assisted by staff members visited sites where asbestos contamination had reportedly occurred. In all, the Society had to deal with over 115,000 items of incoming correspondence while themselves dispatching 140,000 emails, faxes and letters. 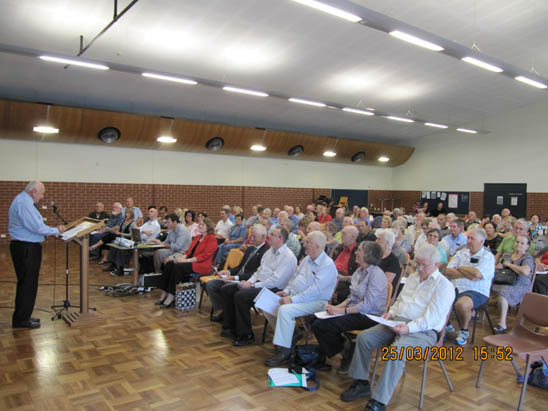 During the year, the ADSA confirmed 1,040 asbestos diagnoses and lost 270 members to asbestos diseases.3 Events organized in 2011, such as support group meetings, the Christmas picnic, the Ecumenical Service, the Annual General Meeting and other social activities provided much-welcomed opportunities for the Society's members to gather together and share their experiences. Society President Robert Vojakovic addressing the ADSA Annual General Meeting. 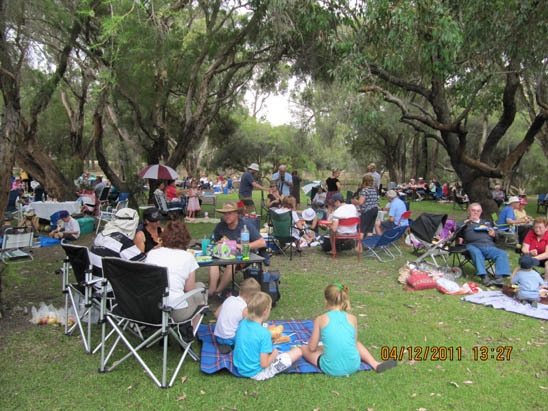 A small section of the 700+ Society members attending the annual picnic. The Society, an acknowledged resource for the Perth community, is constantly receiving enquiries from a broad spectrum of individuals including former Wittenoom residents, householders, consumers, tradesmen and trade unionists seeking advice on the measures needed for dealing with the asbestos-containing products which are widespread throughout the state. The pervasiveness of this hazard should come as no surprise: in the 1960s and 1970s, Australia had the second highest asbestos use per capita in the world.4 On March 13, 2012, concerns regarding demolition work at a worksite in Balcatta, Perth led to a walkout by 70 workers belonging to the Australian Workers' Union.5 The presence of asbestos-cement material in four Water Corporation buildings slated for redevelopment had, the union warned, created a health hazard for maintenance staff from subcontractors whose vehicles were kept in a car park within the danger zone. Bruce Hogan, an occupational safety and health officer from the ADSA, inspected the site on March 15 to assess the level of contamination. There is no such thing as a normal day at the offices of the ADSA. As well as the enormous workload undertaken to meet the needs of society members, so many of whom are suffering from debilitating and fatal diseases, there are the continuous enquiries from newly diagnosed individuals uncertain as to their futures and others who have only just become aware of past exposures. A response is made to every enquiry. In WA, as in other jurisdictions, there are laws and procedures which are not in the best interests of the injured. Where unfair legislation exists, the ADSA has worked assiduously to change it. Input from the Society has been crucial not only in changing the legislative regime on numerous instances but also in contributing to legal victories in state and federal courts. On March 29, Australian Senator Lisa Singh made her first visit to the ADSA offices in Osborne Park. 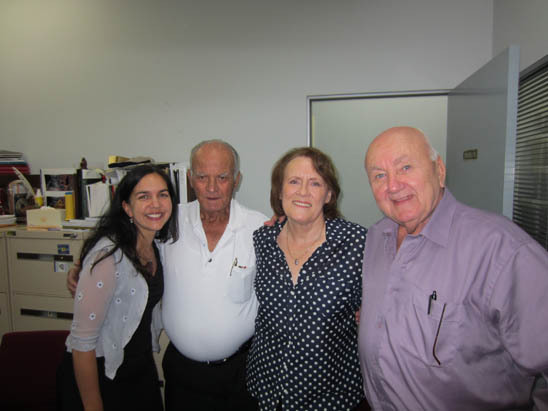 Senator Lisa Singh pictured with veteran ADSA member Oscar Pennetta (former Vice-President), ADSA Executive Officer Rose Marie Vojakovic and ADSA President Robert Vojakovic. Outside the ADSA offices in Osborne Park, Perth. The following day Ms. Singh had a meeting with Laurie Kazan-Allen, the overseas representative of the ADSA and the Coordinator of the International Ban Asbestos Secretariat. In the afternoon, discussions took place in Parliament House with Senator Singh, John Kobelke, Member of the WA Legislative Assembly, and officers and staff from the ADSA. Robert Vojakovic, Senator Singh, Rose Marie Vojakovic, Dr. Greg Deleuil, Laurie Kazan-Allen and David Allen. If confirmation were needed of the ongoing risk asbestos poses to Australians in every walk of life it came at the end of last month (March 2012), when the death was announced of Australian adventurer Lincoln Hall, a man who had survived a near-death experience on Mount Everest in 2006 only to succumb to the asbestos cancer, mesothelioma, six years later.6 Fifty-eight year old Hall, who was one of Australia's leading climbers and a prolific author on mountaineering, had been exposed to asbestos during his childhood whilst helping his father build an asbestos-cement playhouse. The Society and its members are well aware of the risks posed by such exposures; for this reason, fund-raising for asbestos-related disease research is a high priority. In recent months, thousands of dollars have been raised through innovative events such as the October 2011 golfing day. In May 2012, the Kalgoorlie to Perth Walk aims to generate in excess of $50,000. ADSA volunteers will walk the 600+ kilometres from the gold mining town to the WA capital to promote public awareness of the deadly epidemic occurring amongst former Wittenoom residents, many of whom were children when they lived in the asbestos mining town. The objective of the gruelling five-day event is to raise much-needed financial resources for the cutting edge research being pioneered by scientists in Western Australia. 1 O'Leary C. Drinking shock tactics. Alcohol in same league as asbestos for cancer, experts warn. The West Australian. March 27, 2012. Page 1. 2 Kazan-Allen L. A Quiet Anniversary. January 27, 2010. 3 ADSA Summary of 2011 Calendar Year  Main Points. Issued at the Annual General Meeting, March 25, 2012. 4 Luxembourg had the highest per capita use with 5.54 and 5.30 kg per capita/year in the 1960s and 1970s as opposed to Australia's 4.84 and 5.11 kg per capita/year in the 1960s and 1970s. IARC Monograph on the Evaluation of Carcinogenic Risks to Humans Volume 100C (2012): A Review of Human Carcinogens: Arsenic, Metals, Fibres, and Dusts. 5 Harrold F. Asbestos sparks walkout. March 20, 2012. Stirling Times. 6 Gardiner S. Asbestos now affecting third wave of victims. March 30, 2012. The Sydney Morning Herald.